Amazingly, I now know my way around Hackney Wick. Despite the fact that I regularly get lost in central London, I can ‘do’ Hackney Wick. Well, that may be a slight exaggeration. I can get from the station to Britannia Works where two artists I know currently have their studios. So, after the tube and the mainline and a rather hazardous walk over the canal where I was nearly blown away (that bit is not an exaggeration), I arrived. I love visiting artists’ studios and Stephen Walter’s is always a highlight – there’s frequently something new to see, a work in which to lose myself or something exciting to pour over while having a good catch up. 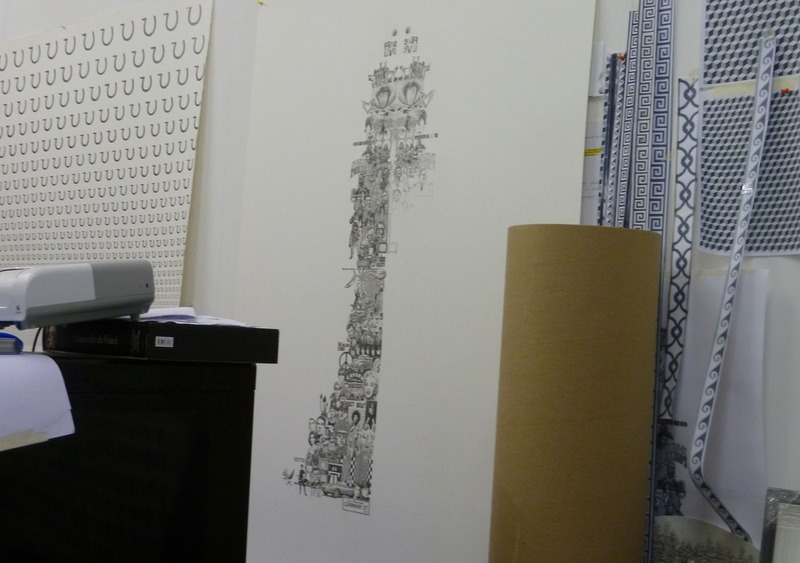 Stephen Walter’s studio. Own photograph. 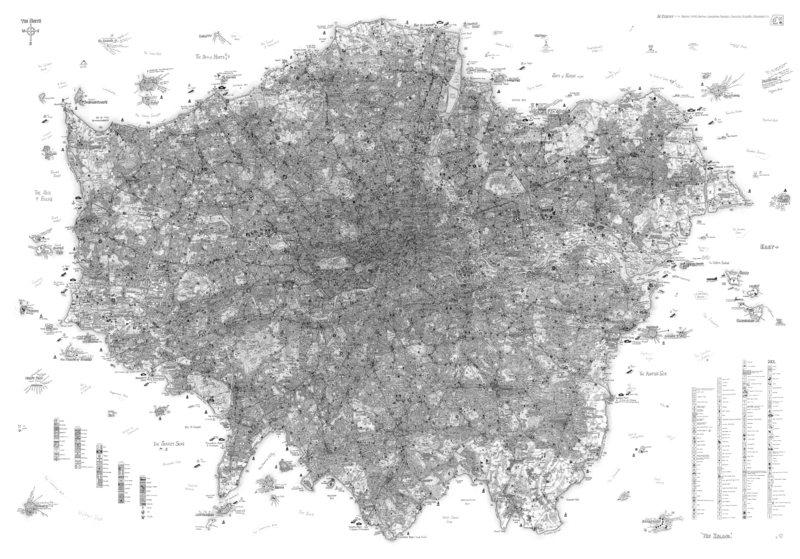 Many of you have probably seen Stephen’s maps of London. His most renowned work, The Island, took two years to complete and, on seeing it or one of the borough works (offshoots from the central piece), you can’t help but try to find your home or other landmarks across the city that are personal to you. 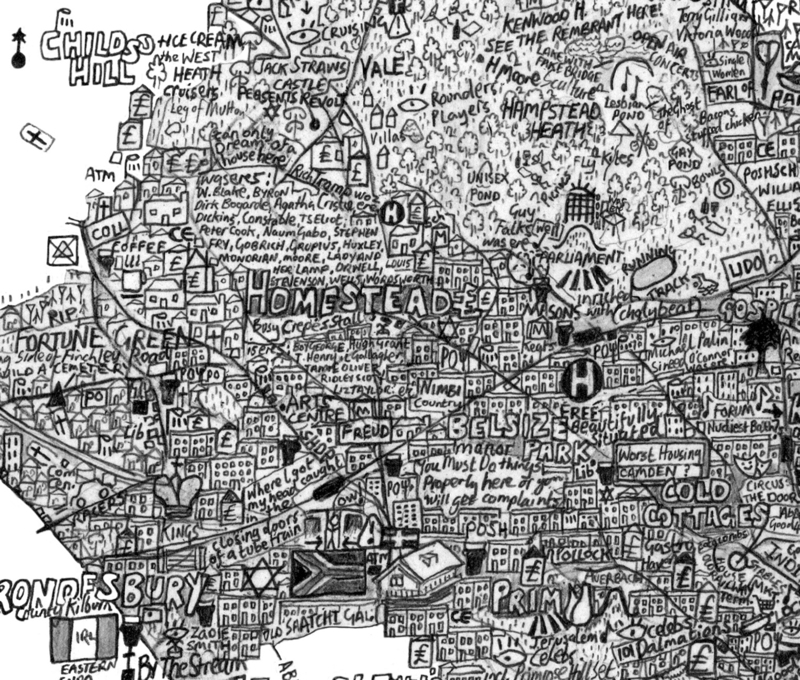 I have Barnet hanging on a wall at home and take great pleasure in spotting my house on it. I blogged this particular series when it was installed at the National Trust’s Fenton House last year where you could climb the 18th century staircase and take in all the boroughs on the way up. Stephen Walter, The Island. Image via www.stephenwalter.co.uk. Obviously, Stephen knows London well but the detail included in these maps was extensive and he had to study numerous historical documents, travel literature and antique maps. Plus, he used Wikipedia to source place names and amusing trivia on important historical and artistic figures as well as contemporary celebrities, on purely capricious grounds. Stephen also mapped out Liverpool in his own inimitable way. The map was far larger and more detailed than he initially planned. Here again, the map is geographically accurate highlighting many of Liverpool’s main roads, railway lines, built-up areas, monuments and green spaces, with an enlarged section of the city centre added in the bottom left corner. It also records several memorable viewpoints that translate the city’s character onto paper. 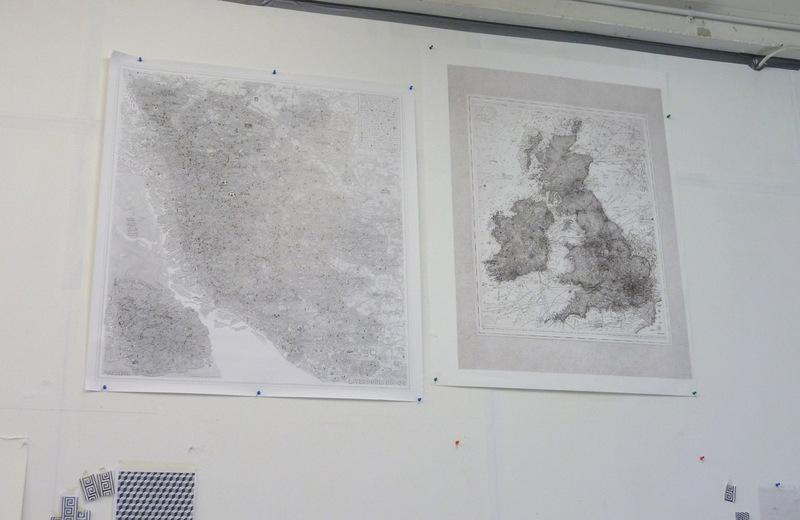 A poster of Stephen’s Liverpool map on the studio wall. Own photograph. This year the buzz has been about Walter’s London Subterranea which was on show at the London Transport Museum. One of these maps is currently hidden away in a chest of drawers in Stephen’s studio; based on the tube network, Stephen painstakingly recorded buried rivers, bunkers, sewers, government tunnels and other hidden parts of London’s underground networks. He found out about, and included, pagan burial sites, ley lines and murder mysteries. Unusually, the map is set against a striking black background and crammed in typical ‘Stephen style’. A detail from London Subterranea. Own photograph. 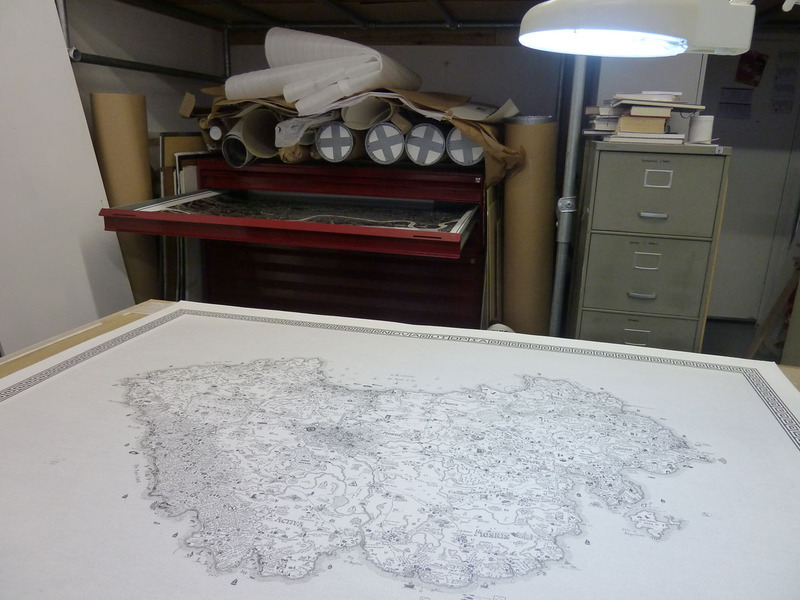 Stephen is currently finishing Nova Utopia based on the shape of Abraham Ortelius’s map, which was designed to entertain his friends and provide an illustration for their copies of Sir Thomas More’s Utopia (1516). In Greek utopia means ‘a place that doesn’t exist’ but has also come to mean ‘an ideal place’; Stephen’s map brings together a number of different imagined worlds forming his own island of Utopia. 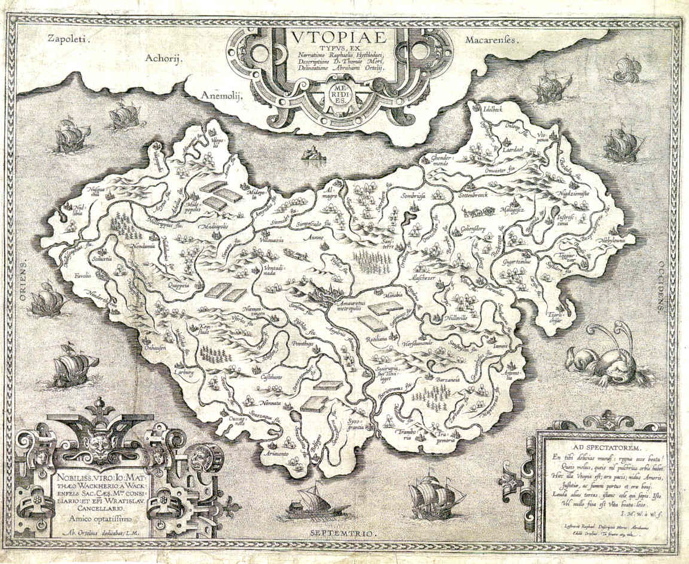 Abraham Ortelius, Utopia. Image via www.blogs.artinfo.com. More’s Utopia depicted what its narrator, Raphael Hythloday, claimed to be an ideal human society. There are many ways to interpret Utopia but, ultimately, the book attempts to navigate a course between the ideal and the real, a desire to create perfection while understanding that perfection is unattainable. The detail in Stephen’s works is very special. Despite having seen his Nova Utopia on a number of occasions I can’t help gazing at the detail and soaking it all up. I’m not going to spoil the treat for you by revealing any images before the work is finished. A work in progress. Own photograph. Walter’s drawings have evolved from his fascination with maps, public signs, symbols and obsessive tendencies. But, he doesn’t just create maps; he also produces beautiful landscape works where he takes emblems to describe often fictitious places and amazing totem-like drawings, playing with mirrored imagery. One work pinned to the wall is exploring 1960s popular culture with figures like The Beatles jumping out at us. But, what will fill the other half of the totem pole? Well, Stephen’s works are always a wonderful surprise and a mystery so I guess I’ll just have to wait until my next visit to see what transpires. I had planned to venture further afield for this post but, somewhat typically, I have been struck by the lurgy so I decided to stay closer to home. However, the fact I don’t have to go far to reach Fenton House does not diminish what a great place it is. But hurry! The exhibition ends tomorrow so you don’t have long. 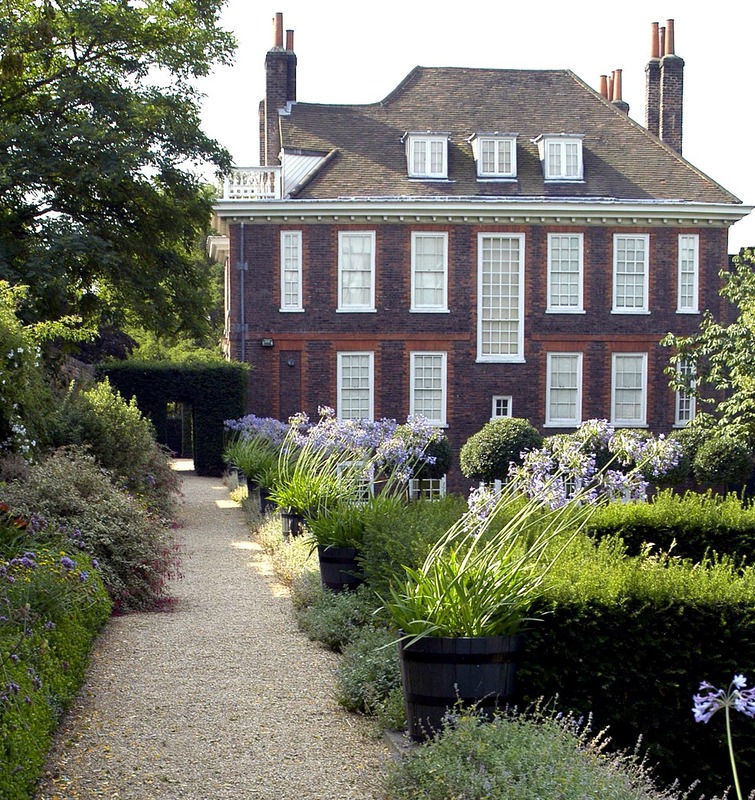 Fenton House, Hampstead. Image via the National Trust photo library, www.nationaltrust.org.uk. Fenton House is perched atop the hill in Hampstead, hidden in the old winding lanes where it’s easy to get lost, and I frequently do. A 17th century merchant’s house, it’s filled with a treasure trove of fine furnishings, porcelain and art. For the month of October, it has also housed a wonderful selection of Stephen Walter’s London Series. I have known Stephen for a number of years now and I’m a huge fan of his work, I even have some myself. The Island: London Series was first published in 2008 and has enjoyed much acclaim ever since. 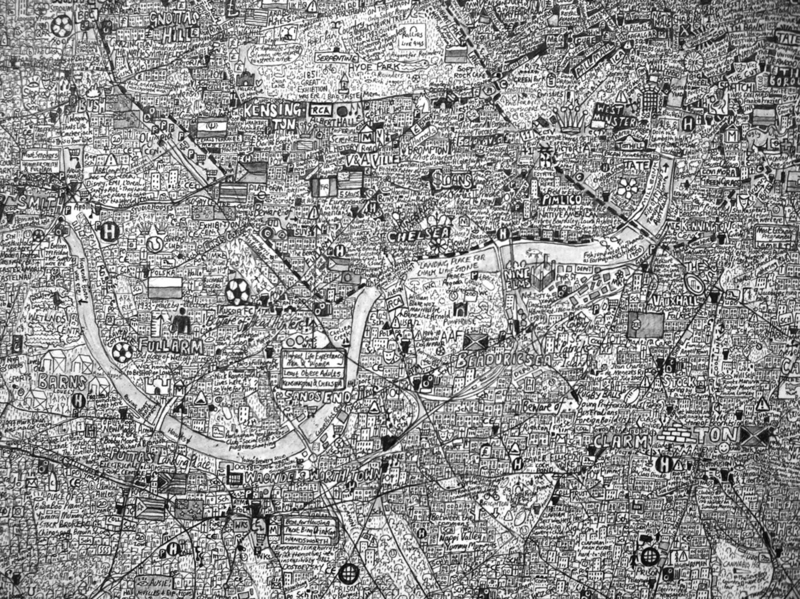 It’s impossible not to love these maps and discover Stephen’s incredible and witty detail whilst spotting your own road or familiar landmarks. Stephen Walter, The Island, 2008. Image courtesy of the artist and via www.tagfinearts.com. Stephen was inspired by the unfolding drama of city life, tracing its dynamic history. 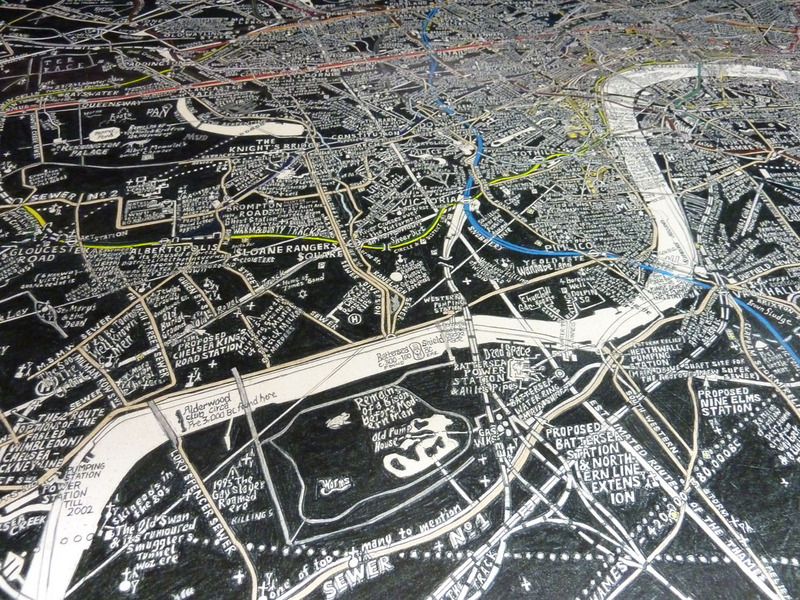 His maps of London combine personal insights, local knowledge and research, bringing together stories, legends, histories and stereotypes; they are ultimately a celebration of place. Under the guise of traditional techniques, his work reveals a myriad of words and symbols that merge older notions of Romanticism with the intricacies and contradictions of our modern world. Stephen Walter, detail of The Island, 2008. Image courtesy of the artist and via www.tagfinearts.com. Though geographically accurate, the maps have their own unique identities fashioned by Stephen’s idiosyncratic semiotics, which are juxtaposed with the familiar everyday signage of cartography and public spaces. Each of his drawings is another world, full of fine detail, created through the self-enforced processes of re-representation and repetition. 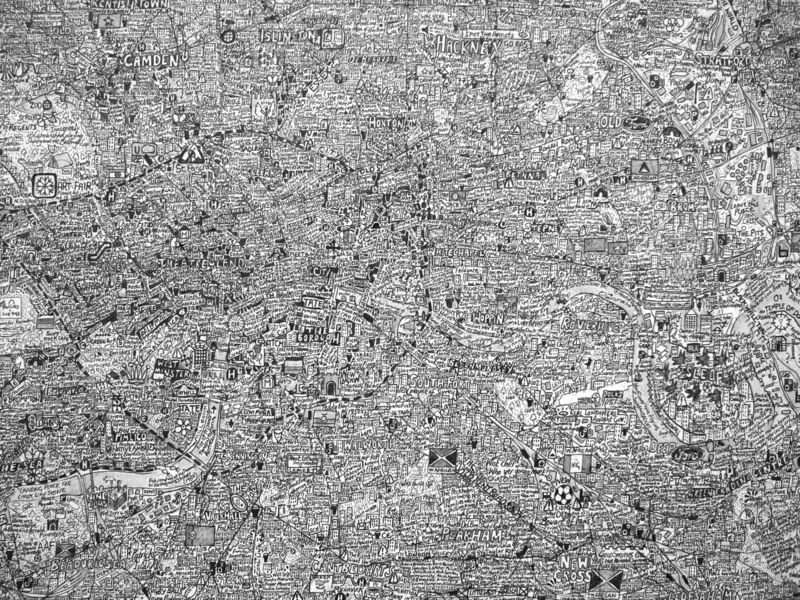 Stephen Walter, detail of Camden showing Hampstead, 2008. Image courtesy of the artist and via www.tagfinearts.com. It is Stephen’s lucid combination of diverse source material and his accurate re-mapping of our city that is so compelling. Every time I look at one of these maps, I spot something new. Displayed on the staircase, at this distinctive National Trust property, the maps sit beautifully. 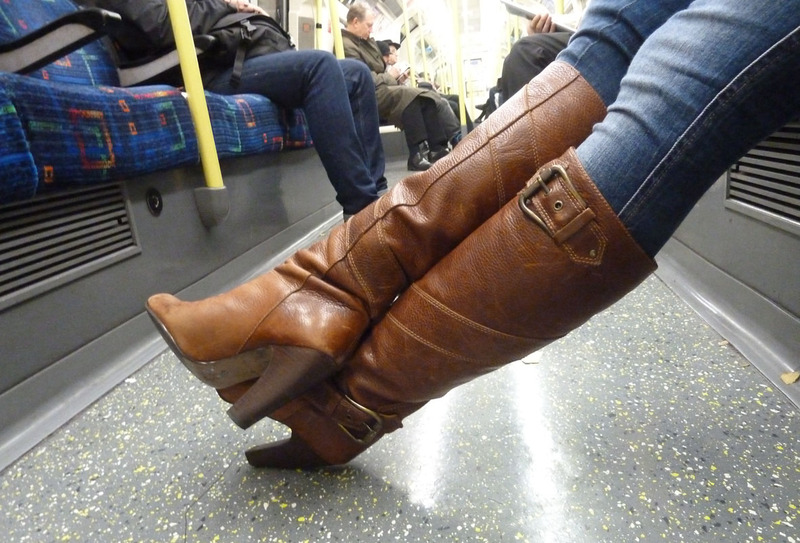 You can explore the whole of London in the time it takes to climb the stairs. 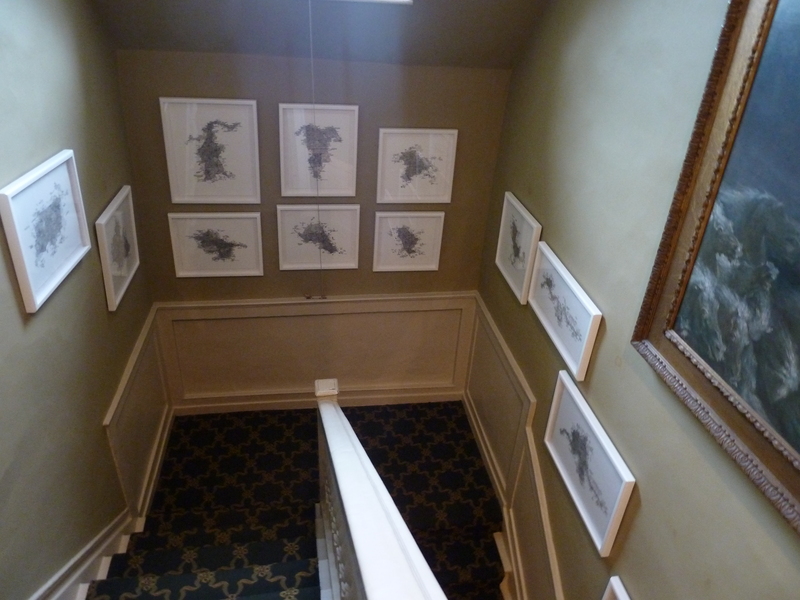 Stephen Walter’s maps at Fenton House. Own photograph. 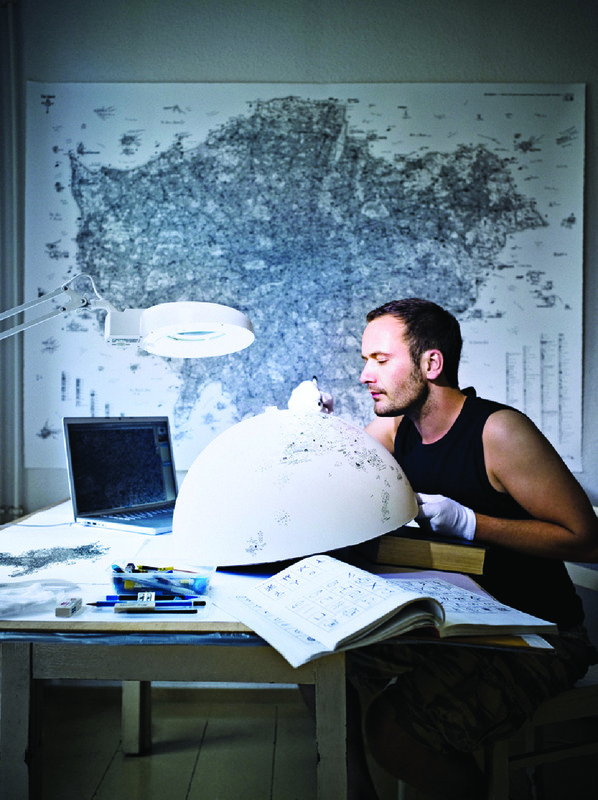 Stephen is currently working on a commission for the London Transport Museum to create a map of the City’s underground systems, which will be released in 2012. I saw this work in progress a couple of weeks ago and it’s absolutely stunning. If possible, each of Stephen’s works is more exciting than the last. There’s always something amazing – a new place to explore, a new theme to play with. Stephen at work. Image courtesy of Lars Borges. Affordable Art Fair ticket holders will be offered 2-for-1 entry to Fenton House and 2 Willow Road. NT members (with valid membership cards) will receive 2-for-1 entry into the AAF fair. Stephen Walter: London Series is at Fenton House until 30th October 2011, www.tagfinearts.com or www.nationaltrust.org.uk.